The Staying Alive Foundation has supported the growth of 538 awareness-raising projects worldwide since 2005. They’ve helped 200,000 people get tested and have distributed over 7 million condoms. Their aim is awareness and education! 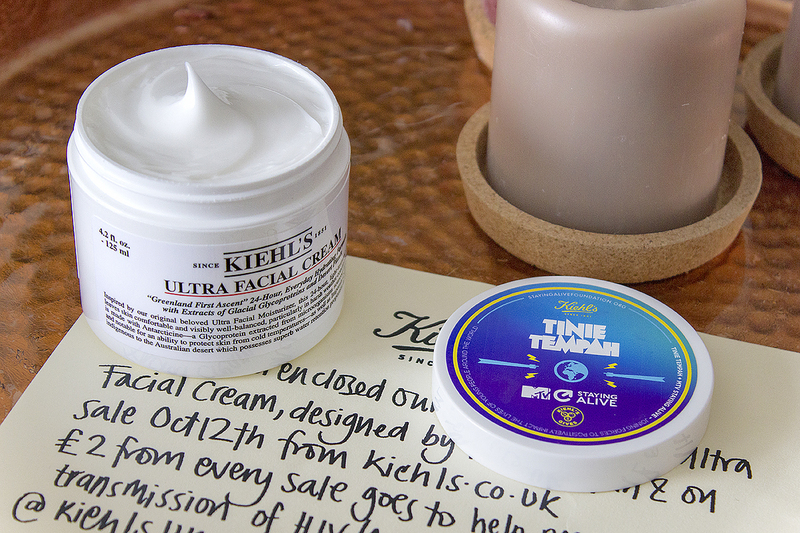 I am super-excited to see the launch of this campaign and with the sale of every Kiehl’s Ultra Facial Cream, Kiehl’s will donate £2 to the Staying Alive Foundation, and the brand have already raised $2.5 million over the last 10 years for HIV/AIDS-related causes. The 125ml jar of Ultra Facial Cream is available here for £43.50. Any money I make in affiliation linking from this product (if you click and buy, I get a small percentage of the product price) will be donated to the Terrence Higgins Trust, the UK’s most prominent HIV support and awareness charity. This article first appeared on MANFACE written by Thom Watson. It was published on Monday 12th October 2015 and was last updated on Monday 3rd April 2017 at 1:19pm. It's categorised under Dry / Dehydrated Skin, Kiehls, Moisturise where you'll find more related content. I just got my first bit of Kiehl’s product yesterday, I’m excited to see how it pans out. Even better that they support a cause like this!